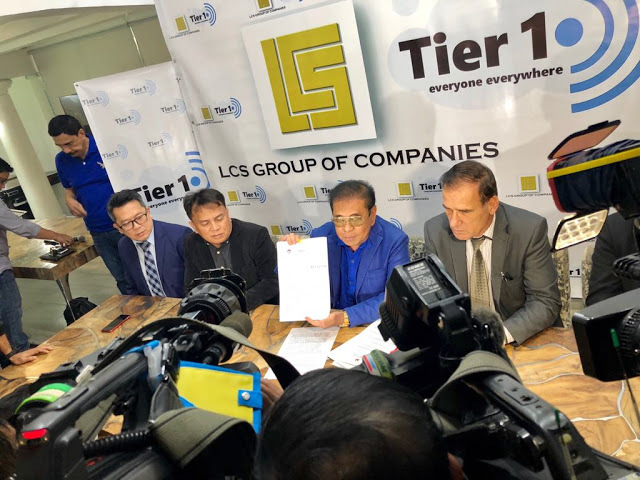 Chavit Singson, in partnership with a third telco aspirant, LCS – TierOne, has announced that they have entered into an agreement to buy equity into an operator of next-generation high throughput broadband satellites. 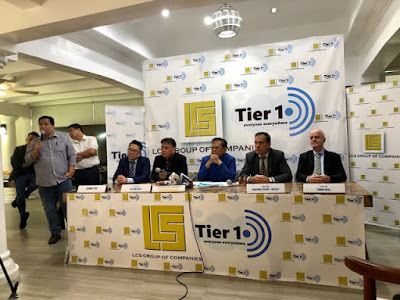 The group is targeting to offer the entire Philippine archipelago access to affordable internet by the third quarter of 2019. 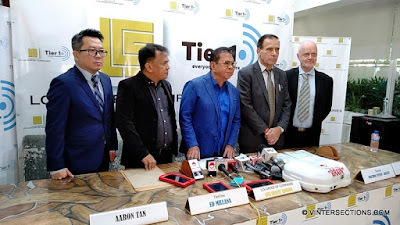 An agreement was signed on October 25, 2018 by Singson and TierOne Consortium chair Jonathon Bentley-Stevens. The Consortium did not name the the operator, owing to the highly-sensitive nature of the on-going search for the New Major Player in the country’s telecommunications industry. 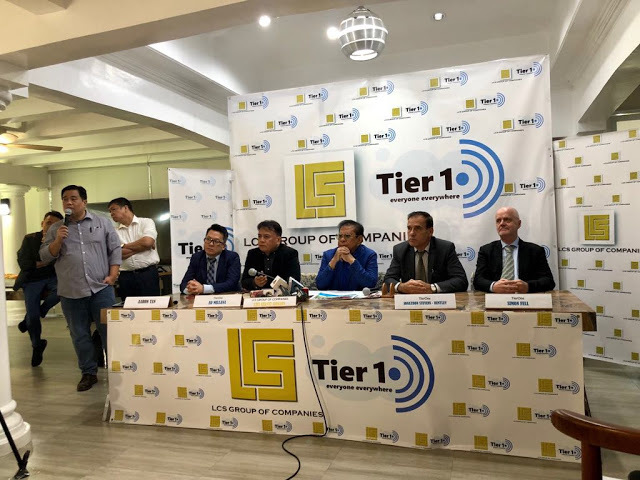 With the announced deal, TierOne is now assured that it will be able to provide the entire Philippine archipelago access to satellite-based broadband – at much lower costs. TierOne additionally revealed that it now also has an earth station gateway – a facility which takes time to set-up – already in place in the country, thus enabling it to quickly use the broadband satellite services. 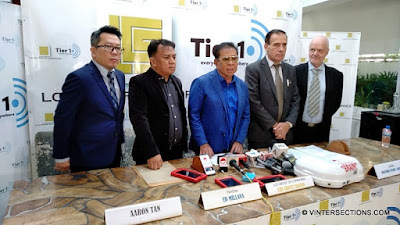 “We are committed to giving Filipinos the connectivity they need and demand, whether they are from Ilocos in the North, where I am from; to Davao in the South, where Jonathon has been living for decades now,” Singson said. “Our investment in the satellite operator with a footprint capable of delivering broadband across the archipelago, reflects TierOne’s desire to offer the Highest Committed Level of Service, as mandated by Department of Information and Communications Technology (DICT) and the National Telecommunications Commission (NTC),” Bentley-Stevens explained. “This is definitely a game-changer,” Singson declared. Engr. Ed Millana, president of consortium partner Millawave Systems, which owns and operates a teleport, and delivers satellite communications services, described why the satellite is key for broadband delivery. According to Millana, their soon-to-launch high-throughput broadband satellite will offer 1.3Gbps of bandwidth per transponder, capable of delivering up to 100Mbps to users. 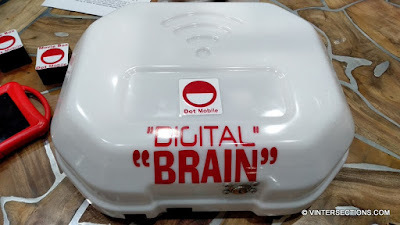 This satellite broadband connection will be beamed to Terrestrial Cell Sites nationwide (LTE/4G, 5G, 802.11 Radio Access) to maintain reliable, stable and high-speed data transmission. Its broadband prices will be disruptively low, compared to legacy satellites – lower than the existing wireless broadband offers from the dominant telcos. “Once launched, our high throughput broadband satellite will offer instant coverage; think of it as a ready network while we rollout the domestic undersea cable backbone, which we still will be largely reliant on – satellite still cannot compare to fiber in terms of capacity and latency, but it’s definitely the most expedient way to connect our entire archipelago” Engr. Millana shares. 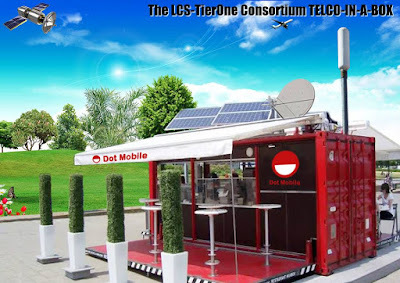 Bandwidth from the broadband satellite will be accessed by the LCS – TierOne Consortium’s portable cell sites, called Telcos-In-A-Box – modified, quick-deployable, solar-powered cargo containers with satellite transceivers, WiFi and LTE Radio Access, and retail sales sections – for distribution to surrounding subscribers. 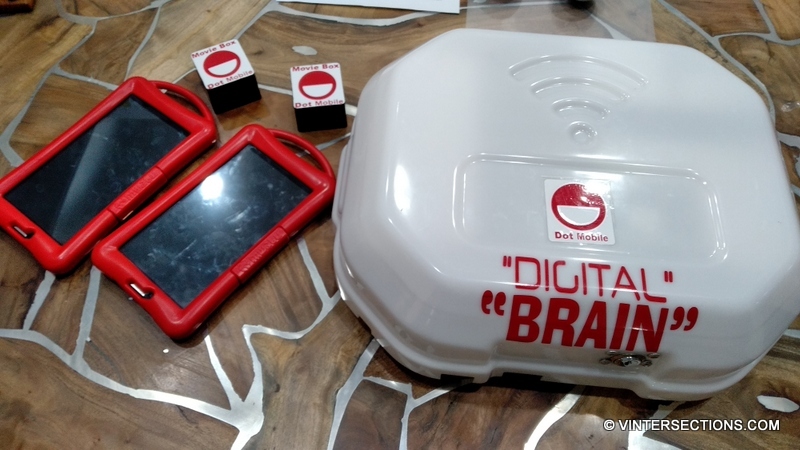 Bentley-Stevens further points out that these satellite-enabled Telcos-In-A-Box will be offered to Filipinos as franchises, democratizing the ownership and delivery of telecommunications services across the country. 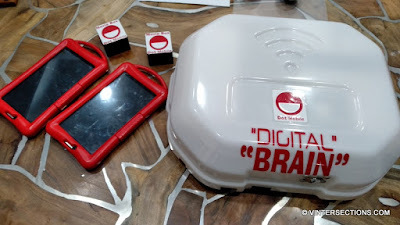 “We are 7641 islands, we cannot be running a telco the way it’s been run in the past – we have to rely on new technology like broadband satellite for coverage and on our fellow Filipinos for distribution,” Singson concluded. 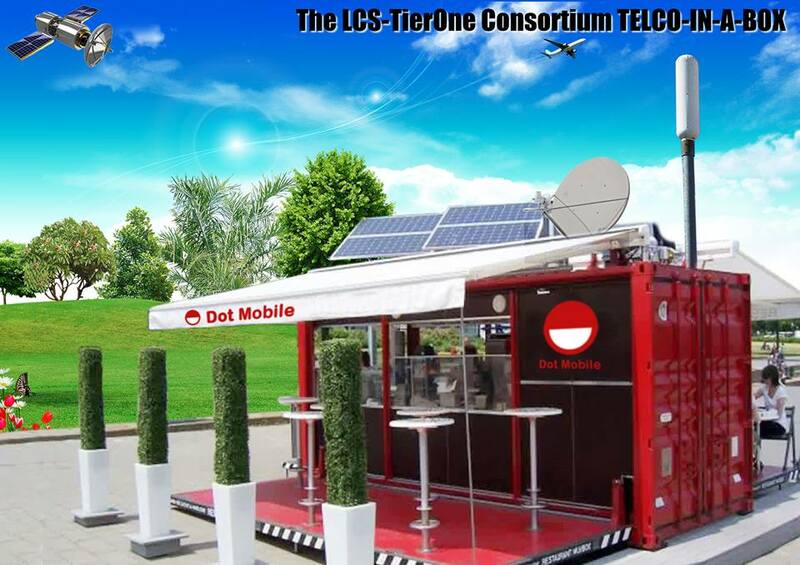 The LCS – TierOne Consortium has described itself as a telecommunications ecosystem, with members covering various facets of the business, including engineering, value-added services, and device manufacturing; as well as network services, small-cell antenna manufacture, and tower provision.